Would you flee from the life you live in if you could? Connie, Suzy, and Karen did. Through their desperate attempts to reclaim themselves, the paths of these three women become intertwined. They develop a friendship and sisterhood stronger than any of them imagined. “Sometimes you can be stabbed with knives and daggers without them ever touching your skin.” This is a quote from the book. This quote and many others will bring tears to your eyes, joy into your heart, and hope into your soul. This entire book brought out so many wild emotions within me. I am in love with these women, their story, and the way I could completely relate to each and every one of them. I strongly recommend this book to anyone (man or woman) who has ever been wounded, physically or mentally. Who has ever felt like they weren’t good enough, or who has ever needed a little encouraging to get them through some tough times. This story made me look at my own life and I’m grateful to Terri for sharing this story with me. “Don’t ever let anyone pretend they can handle the responsibility of making and keeping you happy.” ANOTHER quote from the book… WE are all responsible for our OWN happiness. God, I love this book! This story is an enlightening journey of old friends and new. I immediately connected with Connie & Suzy and eventually Karen. Their lives, their pain became mine to carry. I was invested in them the minute I picked this book up to read. From their lowest points to their highest, I was there! I felt it all and cried right along with them. I laughed through tears and felt my heart fill with hope. I wish I could read this again for the first time. This book will stay with me for the rest of my days. 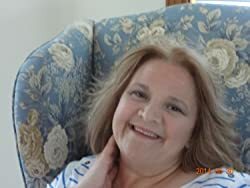 Terri Marie is a USA Today and NYT Bestselling Author of Romantic Suspense/Thrillers, Contemporary Romance, and Women’s Fiction. She resides in Michigan with her family. This entry was posted in Family Saga, FAVORITES, Motivational, REVIEWS, Romance Contemporary and tagged Terri Marie. Bookmark the permalink.